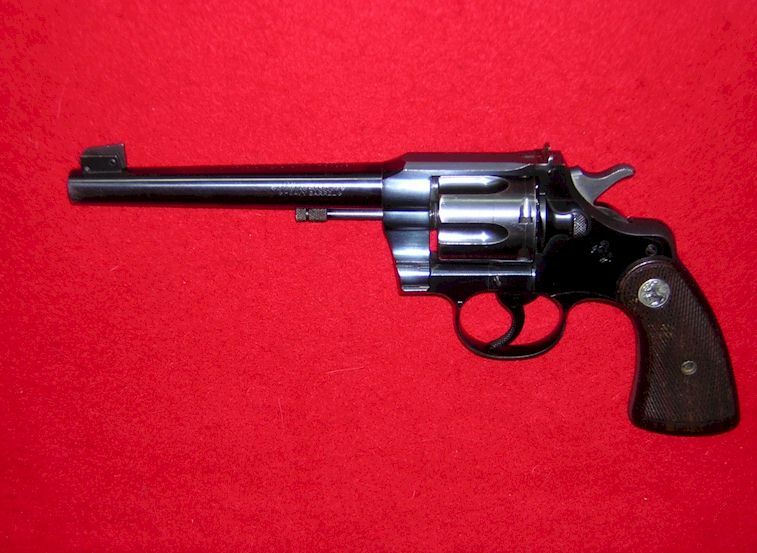 A very nice Colt Officer's Model Heavy Barrel .38 caliber. 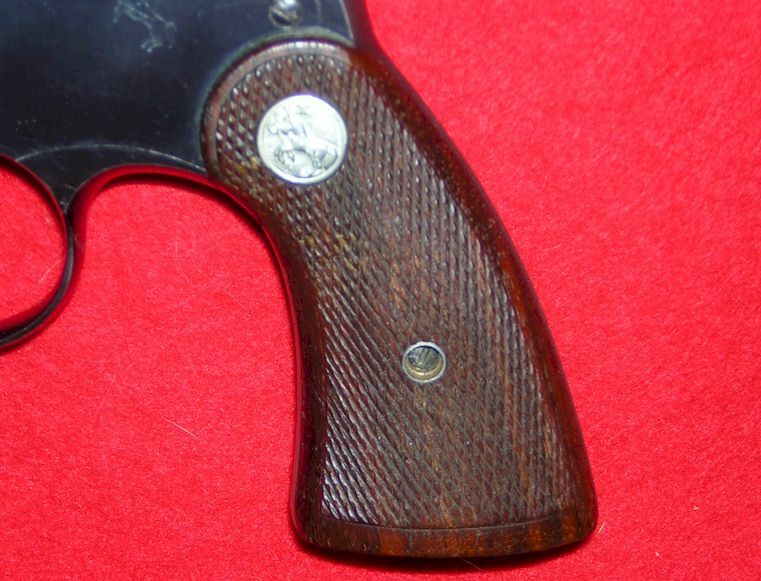 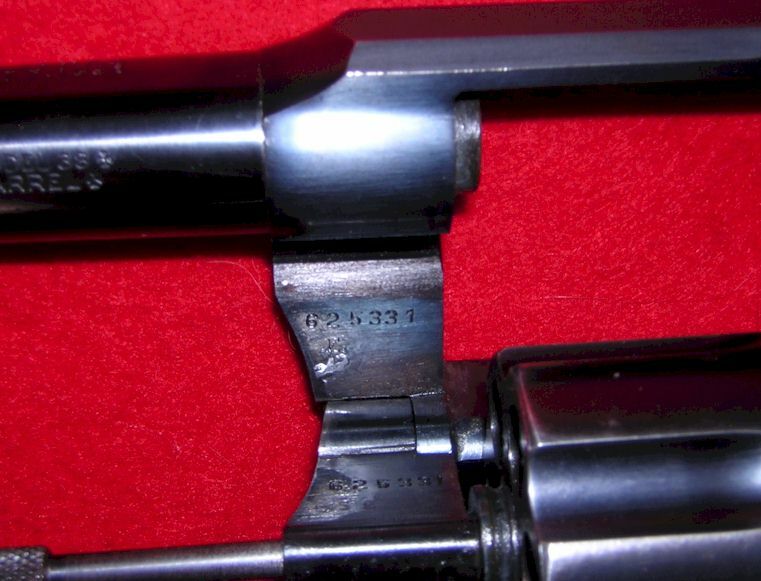 A serial number of 62533 places production of this esquite pistol in 19xxxx, Bluing still covers well over 95 percent of the metal with only slight wear on the 6 inch barrel tip and cylinder edges. 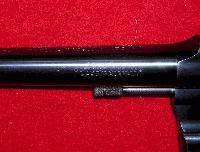 The rearing Colt is still crisp and clear on the left receiver side. 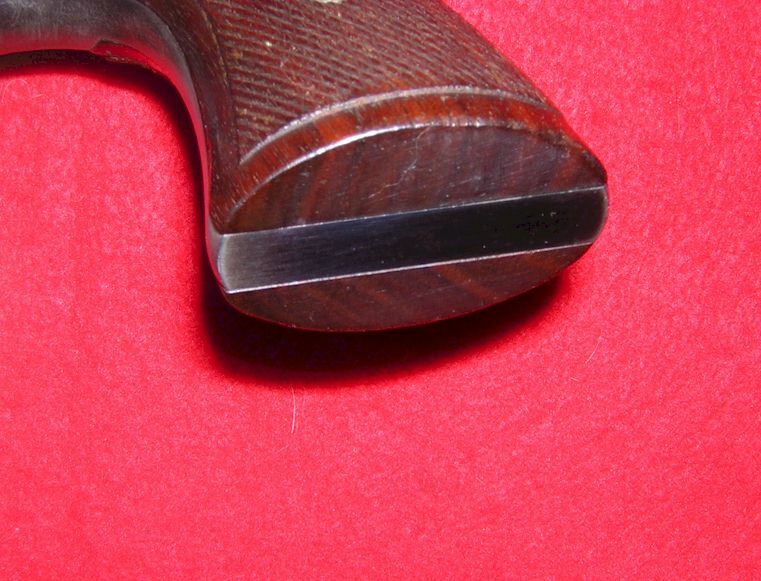 Wood on grips in almost perfect condition with medalion clear and checkering still crisp. 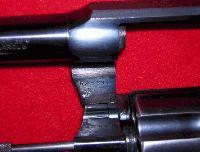 Correct adjustable front and rear sights on the gun. 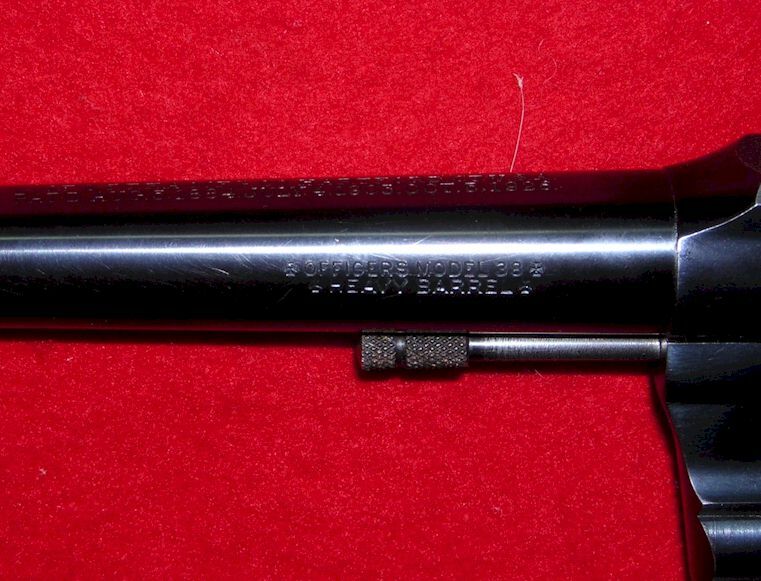 Bore is immaculate. 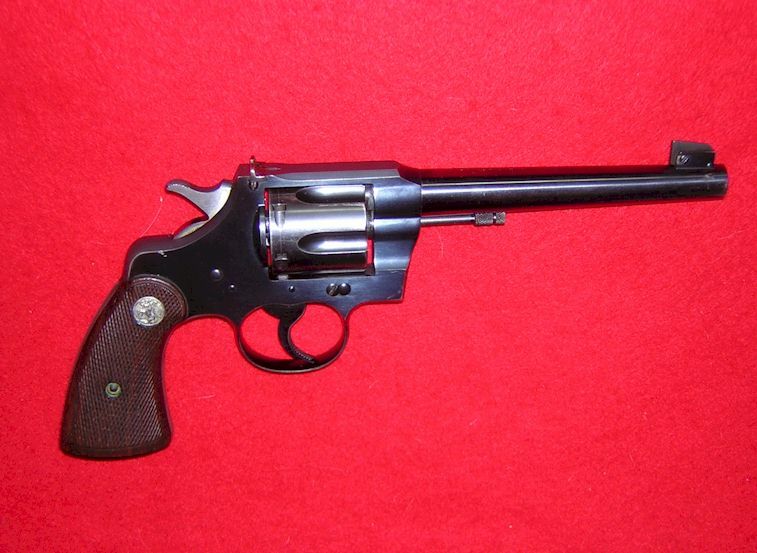 Here is a chance to acquire a quality Colt Officer's pistol at a reasonable price.